Images via Pinterest Board, as seen below. I've been talking a lot about fringe lately, and there is a reason for that. We're seeing fringe everywhere this season, not just on Fashion Foie Gras. My moodboards are overflowing with images of women working fringe skirts, bags, shoes and dresses, and I'm buying into this trend in a major way. 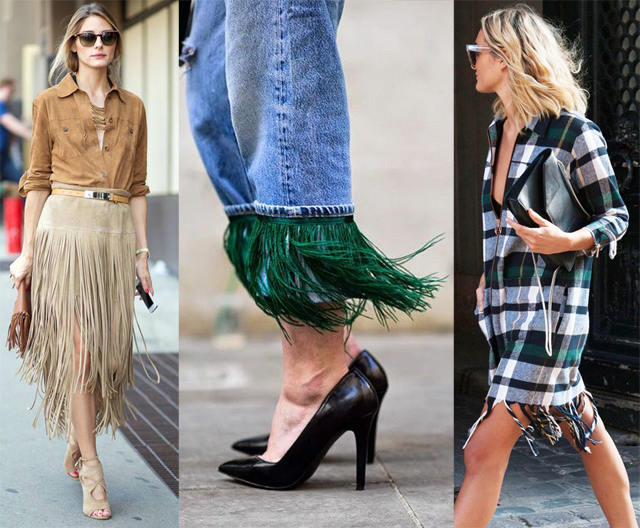 If we look back over decades of fashion, we see fringe as a reoccurring trend. Whether looking to Woodstock or the catwalks of Ralph Lauren, fringe is everywhere. So, I feel pretty confident in recommending this as a look to embrace and save. Buy into the items that are featured on the high street and in high end stores, wear this season, and keep in your fashion archives for years ahead. Of course the reoccurring trend is also a good justification for buying designer when it comes to fringe, if you're looking for spend justification. Fringe will be a fashion statement that stands the test of time. This all got me thinking about the many ways in which fringe can be incorporated into your wardrobe and a Pinterest board was born on the topic of "How to wear fringe in fashion." I researched 50 ways to wear and found myself coming away wishing I could just put fringe on the menu for every fashionable day moving forward. I hope the same board will inspire you to take chances with the trend in your wardrobe this season. 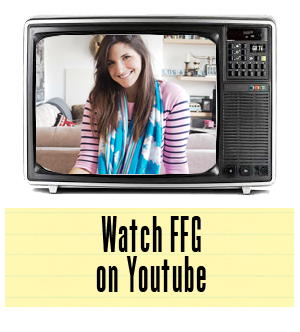 Follow Fashion Foie Gras's board How to wear fringe on Pinterest.